The current article is the second in a series of articles titled "Apprehension and Longings" by the author on classical music from the early twentieth century. 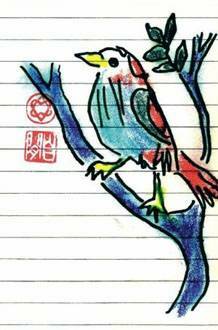 The current article turns to new work by Philip Glass based on the poetry and drawings of Leonard Cohen titled the Book of Longing (McClelland And Stewart Ltd., Toronto Harper-Collins, New York, 2006). Cohen’s drawings in The Book of Longing frequently contain a red signature stamp of two overlapping hearts forming a Mogan David surrounded by a circle, perhaps a symbol of love and his Jewish roots, both cornerstones in Cohen’s creative life. Cohen like so many of his generation was drawn to Eastern spirituality, in his case Zen Buddhism. He pays homage of Zen masters in The Book of Longing. Yet, this is Cohen’s private life—his secret life; publicly he remains Cohen, the Jew. His songs have always reflected this. Examples abound. "The Partisans" from 1969 is about Jewish freedom fighters during the Holocaust that are drawn to carry on even as their numbers dwindle. "Who by Fire" from 1974 is a refrain on the Yom Kippur prayer considering contemporary ways that we might meet our end. To quote one verse, “who in her lonely slip, who by barbiturate, who in these realms of love, who by something blunt …” Cohen songs and poems flourish with Jewish themes. Cohen’s creativity brilliance cannot be easily categorized. He emerged during the 1960’s from the folk New York scene, since then he has used rock, pop, and every possible variant to do one thing, to get his words across. For Cohen meaning overshadows form and style. Music serves poetry. Cohen’s voice is not refined yet it always rings true, as he imparts the truth he envisions. The music of Leonard Cohen defies labeling. Cohen’s poetry focuses on love and yearning. This is Leonard Cohen at his best. Longing contains many such gems. 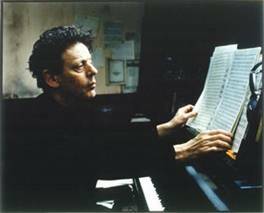 Philip Glass also defies labels. Yet he is classified, categorized and pigeon-holed as a minimalist. His explores endless combinations grounded in familiar motifs. Arpeggiated ‘rifts’, ostinato patterns, and overlapping rhythms are fundamental and reoccurring and recognizable elements. 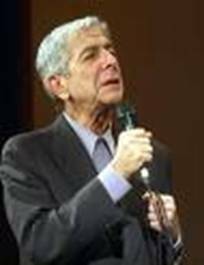 Glass’s setting of Leonard Cohen’s Book of Longing is scored for small instrumental and vocal ensemble. The Book of Longing received its world premiere on June 1, 2007 at Luminato Festival in Toronto and is currently touring Canada and the United States. It was featured at the Chicago Ravinia Festival June 12–13, 2007. Glass’s setting of The Book of Longing includes striking interludes for solo instrumentation. They depart from the familiar Glass approach. The work’s choreography was generally hokey and unnecessary as the singers marched on and off stage between each section. Longing comes off more like a Broadway musical than a contemplative work. Nevertheless there are extremely beautiful sections. This is a work to hear more than to see. One can look forward to its release on CD. The Book of Longing for both Cohen and Glass are works of men in their seventies. It is easy to forget their age and see Longing as a continuation of their ageless creative lives. The collaboration of Cohen and Glass provides a welcome new piece from both men.